"The Best Music From The Last 60 Years"
DJ Paul started out as a resident DJ while working at military bases in Germany in 2001 and when he returned to the UK in 2004 carried on working at other bases in the south of England and then the West Midlands. 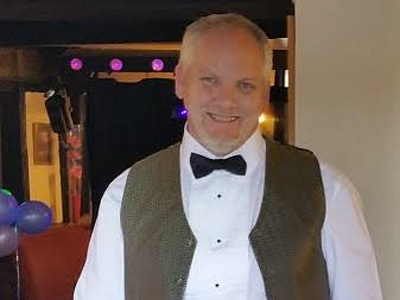 He has been working in and around Telford since 2009 with regular bookings in a number of local pubs for karaoke and disco nights as well as private parties for weddings, birthdays, anniversaries and retirement parties. No matter whether its a normal "Friday night" in your local... dancing the night away and listening to "that guy" having a go on the karaoke, or that special event you've have been planning and looking forward to for months, Old School Entertainment aim to make your night special and more importantly to make it the night that YOU want. A sound system big enough to handle most venues and a laser/LED light show to match, we will always add that extra element to help turn a good night into a great night. With over 30,000 songs from the 50s & 60s through to today's club classics and chart toppers to chose from and a karaoke library of over 10,000 songs it's safe to say we have something for everyone. Required by many venues, Old School Entertainment has a current PLI policy with AMP DJ in the amount of £10 million. Also required by many venues, Old School Entertainment has supplied satisfactory evidence of holding current PAT inspections of their equipment dated within the last 12 months. A Method Statement outlining Old School Entertainment&apos;s Health & Safety procedure for setting up disco equipment has been provided. Why do people choose to book Old School Entertainment? He was fast to reply to all my emails and its the kind of dj we want. He had good recent reviews. 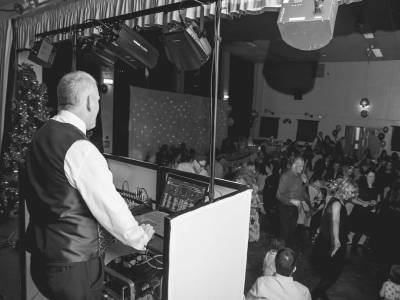 "very professional service, good choice of music appropriate to the occasion & audience and very easy to deal with on a personal level"
"Thank you for booking us and we hope to see you again for any future events"
"I can't recommend Paul enough. I asked a lot of questions before choosing a DJ and Paul answered all with no hesitation, and provided all information I needed to make an informed decision. He kept in regular contact before the event, provided information and links to set up requests and plan the event. Paul and his daughter helped to provide a brilliant atmosphere for the evening, accepting requests and changes to the planned event line up, taking it all in his stride. A huge thank you to Paul and Jen for the service they provided." "We're delighted that you were happy with the service you received both in the planning for your reception and during the evening itself. Thank you for letting us join your celebrations. " "Paul was an excellent D.J at my party. He accommodated playlists and requests and his communication was excellent. Paul was able to give an NHS discount and was excellent value for money. Highly recommend and will defiantly book Paul again when we need a disco." "It was a great night for me as well and I received some really nice comments throughout the night from your guests too." "Brilliant! Thanks for a great night." "So glad to have been part of your celebrations. See you again soon." "I cannot rate this DJ highly enough. Paul and his daughter went beyond the expected to provide us with the best entertainment for our Fundraiser ball. Not only did they customise their set to meet our ball theme but Paul also ran a complimentary video horse race to help us raise further funds. The music was fantastic as well as the lighting. They required no deposit it was simply pay on the night with zero hassle. Incredible value for money - I wouldn't think twice about using them again!" "A brilliant night for us as well as the clients. So glad everyone had such a fantastic night." "Really went out of their way to make sure the music was spot on! Wish I'd had them for my wedding 6 years ago (my dj was a disaster, I've had awful experiences in the past) so I'd definitely hire again and recommend to others "
"Had a great time with you all playing some really great heavy rock all night..... Just what you asked for !!" "Paul was an excellent DJ. He kept in touch with me regularly before the event to let me know how things were progressing and to check details/requirements. This was very reassuring. He arrived early at the venue and was extremely helpful, even when we made some last minute changes. He was polite and friendly and I would have no hesitation in recommending him." "I'm glad to have been part of such a worthwhile charity event. Thank you for your positive comments." "Paul was brilliant - really helpful in the lead-up to the event and couldn't do enough to meet our requirements. Everything went exactly to plan as far as the music was concerned at our wedding - I didn\'t have to worry about it at all." "It was our pleasure to join in your celebrations. Best of luck to you both for the future"
"Paul was great from the moment we booked him! He was very friendly, knowledgeable and easy to approach about anything. He went above and beyond to ensure he supplied us with the evening we wanted. Everybody had a great evening and loved the music. The quality of service was more than we could have hoped for and we'll definitely be using Paul's services again. Couldn't fault him one bit!" "It was a wonderful day and an absolute honour to be a small part of. I wish you both all the best for the future and look forward to working for you again soon." 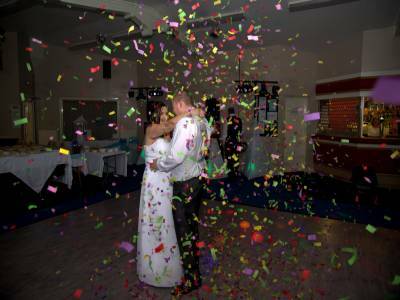 "Very professional and well run disco. 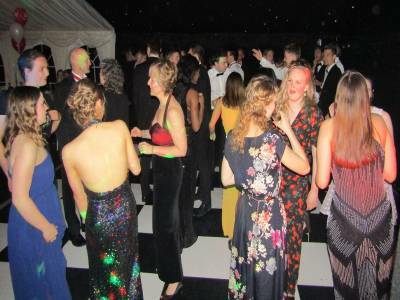 Highly recommended"
"Im glad everyone enjoyed the party & look forward to working with you again"
"A very good and enjoyable disco was provided by Paul and Jen. I would highly recommend them for any event"
"Im glad everyone enjoyed the party. Hope to see you all again in 2016"
"I have spoken with my committee and we all agreed that a fantastic service was offered and we would look at using the DJ again in the future :)"
"So glad everyone had a great time. Look forward to providing your future entertainments." 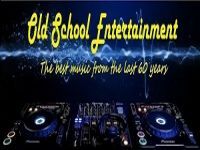 Old School Entertainment also offers a range of additional party services not directly linked to musical entertainment. If you are contacting Old School Entertainment about an event, it's always a good idea to include the DATE, LOCATION, EVENT TYPE, AGE GROUP and TIMINGS to speed things up!